Catherine and I are hosting a new Meetup group tomorrow and will be introducing constellation work to a new community of people. We have over 25 members, so we are making new contacts. One contact is from a woman seemingly associated with The Confederated Tribes of Grand Ronde. She contacted Catherine last week and wants to come to our Meeting group and learn more. Now, a few weeks ago, we co-facilitated a constellation workshop in Reno, NV and experienced some amazing movement within all the participants. There was quite a lot of inter generational exploration, which is what this work is about. I have rarely felt this kind of awareness from clients as I did during that weekend. I want to share my own personal experience of this work. I have been wanting to call in a constellation for myself to do more work around my ancestors and specifically my current trauma around familial abandonment. I have done constellation work in the past about my relationship with my father and that opened some doors. This time I wanted to look deeper. I knew the back story of his own life. His parents immigrated from Germany before WWII. He was not happy in his home town in Maryland and left his family at 17 and enlisted in the U.S. Air Force. His father was a domineering man and my father let communication with his parents lapse for decades after. He was stationed at March AFB in California which is where he met my mother. He was just twenty-one when they married. My mother was twenty-eight. My mother kept close ties with her family, but my father rarely spoke of his family when I was growing up. In 2010, my wife told me she did not want to be married anymore. My youngest daughter wanted to live with me, but her mother was not keen on the idea. I moved away without her, not wanting to live in Montana and wanting to distance myself from my ex-wife. Clearly, I was repeating a pattern of abandonment due to trauma I inherited from my ancestors. This time it was me who was abandoning my family. Both of my children are now adults in their twenties. My youngest is now married and my oldest is traveling the world. I have been reflecting on my family, the one behind me and the one in front (the big ones and the little ones as represented in constellation work). My constellation was about abandonment both from my father and mine to my own children. They rarely contact me, and I was concerned that the ancestral trauma, that does not belong to me or to them, was passed along epigenetically. I decided to clear that trauma doing my own work so that neither of my children would experience the level of abandonment that I have experienced and the abandoning I have done. I called forward my men’s group in Washington State and ten of us showed up, including a dear friend and Rabbi outside our group. Never have I witnessed a constellation with so many men willing to do such deep and profound healing work. The only woman present was Catherine, my facilitator. My representatives were incredible and the healing I felt, palpable. I witnessed myself interacting with my father and his father and noticed the representation of place within the circle of my father and his father. In came abandonment and the representative of myself was more comfortable straddling in and out of the patriarchal community. Addiction showed up as well along with expectation (something I continually attempt to let go of) because of the closely related disappointment who showed up as well. Addiction was interesting. How many times have I turned to addictive situations to ease my issue of abandonment. I have been in relationships in my past and when I feel that sense of abandonment, especially with my ex-wife, I turn outside of the relationship to find comfort and acceptance with others in the form of extra-marital affairs (even if only emotional and not physical). I now notice that my addiction to this escape was a set up for my own expectations, fraught with disappointments, repeatedly. When I found someone new, who was willing to accept me in the moment for what I offered, I would set out to hold on to that feeling forever and shape it into what I wanted it to be only to experience that emotional high come crashing down. And then the withdrawal always set in and I chased the high again only to set up the disappointment from the expectation I invited in. The cycle continued until I finally let go of my own self-anger in June of 2016 so that I could invite self-love in its place. I left a relationship of 6 years after being asked to leave in 2014 but so wanting that high of some form of acceptance that I was willing to do anything to hold on, so I tried. When I invited in self-love, on that fateful day in June, I was able to set myself free from the bonds of my expectations, disappointments and addictions so that I could open a new door of self-exploration. I met Catherine once I had FAITH (Forward Action In The Heart, Forward Action In The Head, Forward Action In The Heels) and discovered an acceptance that came without expectation that could lead to disappointment. And now, after my constellation almost two weeks ago, I am clear that my trauma I inherited was from my ancestors on my father’s side and even as I do not know what the physical trauma was, I know I have healed by letting go of expectation, disappointment, and addiction. 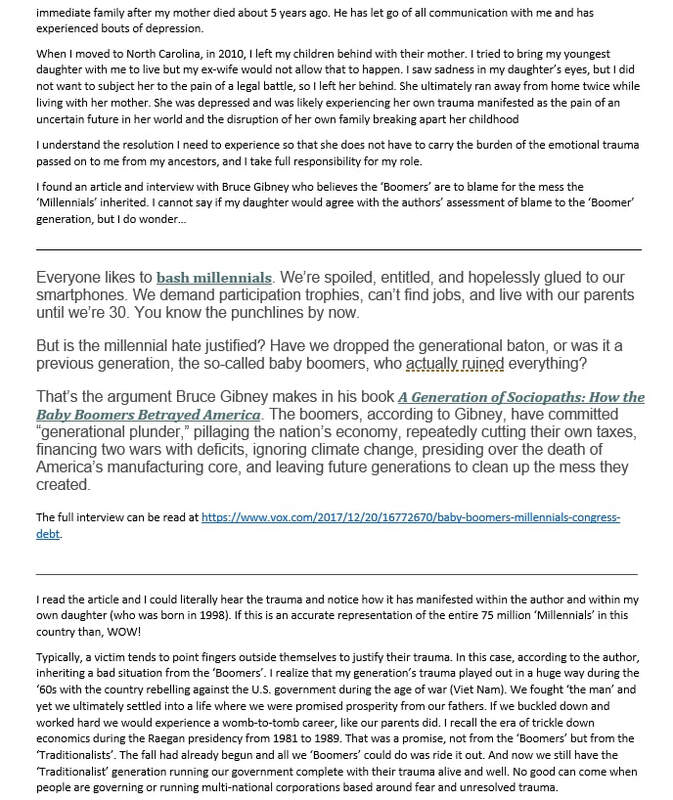 Back to how I opened this blog. So, as I close this chapter of my book and advance to the next, I see how addiction plagues so many people. Catherine and I talked about working with Native Americans when we were in Reno and now this Native American woman is showing up for our Meetup on May 1st. 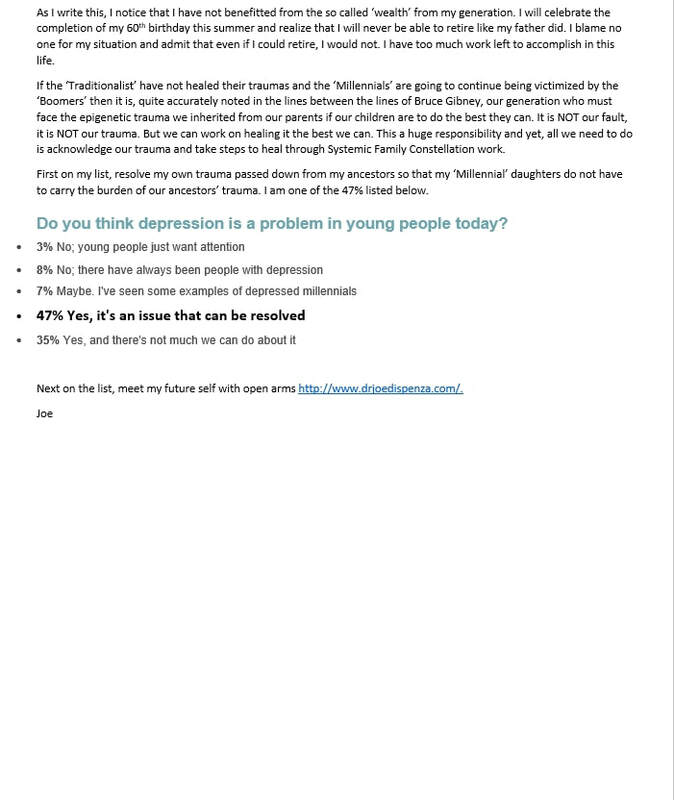 I have a clearer view through writing this blog around what I can now call EDA (expectation, disappointment, and addiction). I am excited to feel these words in my cells and not need to talk about them anymore. My somatic experience is so much more powerful than using words. This systemic family constellation work is so healing. 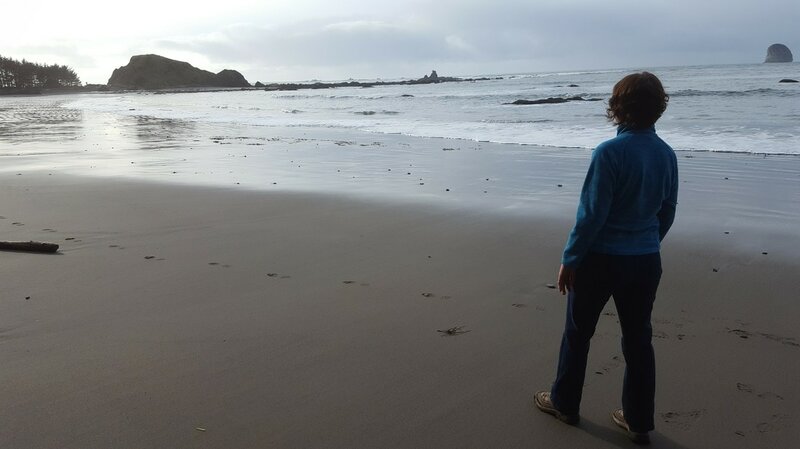 As I sit here in Poulsbo, WA, preparing to participate in a talk Catherine is offering at Unity of North Kitsap, I am reflecting on what is emerging in our world. We watched the film, Black Panther (twice in two days) and came away feeling absolutely inspired that our world, as I see it, is in the throws of great changes. Like the mighty Juniper in the photo above, there are always things we can count on the remain solid an rooted. Our physical humanness has changed little over the millennia. We have advanced out science and technology as we continue to access our brains capacity to solve problems with new technology. Science is a wonderful tool and yet we seem to have left our spiritual advances behind. I speak of how we treat each other with little regard for the precious life of our fellow humans. I realize there is a great hope emerging and that there are a great number of people who would do what I perceive to be the right thing. Alas, there are also those who continue on a journey with the intent, knowing or not knowing, to place road blocks in our spiritual advancement. I am amazed by the youth of America in their ability to stand in solidarity and face the "Leaders" of this nation and demand something be done about gun control. They are fighting for the schools to be safe to attend without fear of whether they will be murdered on any given day, anywhere in this country, at any school or church. I am appalled at the response from those in power. "More guns in schools, that is the solution." "Take away our second amendment right and then our homes." These talking points are so far off base and not what anyone is projecting. I'm sure you are all aware of the political banter in the news this past week, and it is right to be informed and aware of op eds and listen, watch, or read the news and filter out what is false and what is true. I believe it is also prudent to look at what is occurring from within ourselves. When I see all the trauma exposed in the world right now, I wonder how we can take a closer look as a collective. I watched the inner battle emerge as I watched Black Panther and discovered that not only was it a deeply personal battle between King T'Challa (Black Panther and Erik (Kill-monger), it became quickly apparent to me that this was a battle between a nation and the outer world. T'Challa's trauma became clear when he discovered what his father had done and, ultimately, who his ancestors were and how they lived their lives as past rulers of Wakanda. I realized that T'Challa's trauma was revealed and that he carried the DNA trauma from so many generations past and it manifested as a new ruler who was faced with challenging decisions which affected his own personal relationships. Kill-monger's trauma became clear, also passed down from past generations and affected his physical being as he went out in the world destroying everything around him only to face his nemesis, T'Challa, for the final conflict in an attempt to resolve his trauma. This individual and personal trauma expanded into the trauma of the institutions of both Wakanda and the outer world. I saw this film as a constellation with many layers of trauma and watched how the trauma was exposed and how the healing was offered. The film was the facilitator and the client was humanity. Black Panther was a truly great example of systemic constellation work using ancestors, family, and social components and the actors became the representatives. I see our current experience in the form of a constellation when I open to the issues humanity faces with our poor leadership, mass shootings, homelessness, and poverty. The client then becomes humanity and the representatives become love, indifference, despair, activism, solidarity, and so on. The facilitator must then become consciousness. NO MORE! ENOUGH IS ENOUGH! We now must reveal the resolution of our collective trauma and move forward so we might continue to evolve to a higher level of consciousness. Our time is now to affect this welcome change. 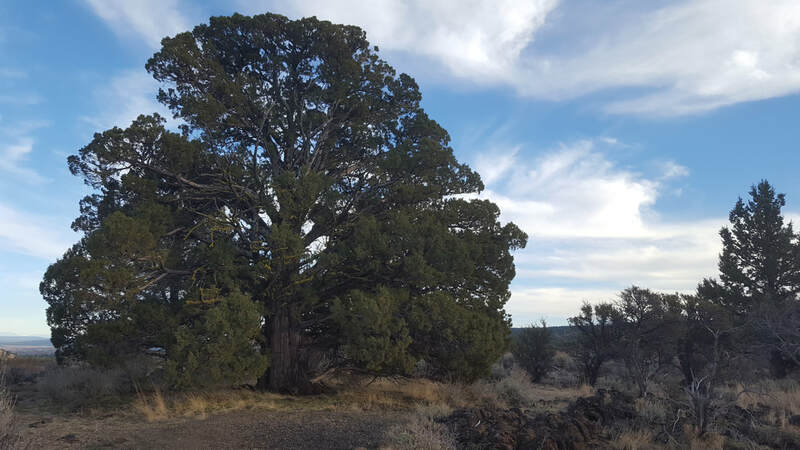 As the mighty juniper tree stands strong, rooted in Earth, we, as a society, must send our own roots deep into a new consciousness so that we can remain a viable traveler, as Thomas Berry said, "In Earth." Hi. This is Joe and I am going to offer a brief introduction to systemic constellations and how Catherine facilitates this amazing healing process. My goal is to offer how this process works in ways that may be more understandable. First, I will say that most of us experience emotional and or physical trauma at one time or another in our life. It is even possible to experience trauma passed down from previous generations. 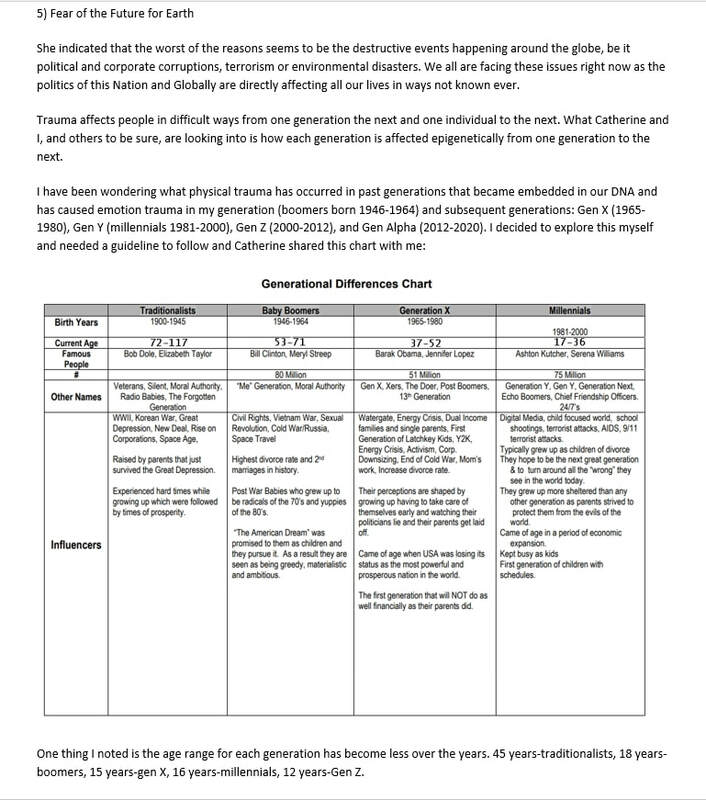 I shared a report in a previous blog post on our web site at gatekeeperconstellations.com that showed how it is possible to experience trauma from as far back as 14 generations. The science in quite amazing. I look at trauma as if it were a brick placed in front of us either by ourselves or some event or other person. It could be an experience from our childhood or as an adult. It might be a seemingly unfounded fear of something, post-traumatic stress, sexual abuse, health issues, adult relationship issues, parent-child relationship issues or any number of other types of trauma. We then spend our days and years building this trauma brick into wall. Once this wall is complete, we become paralyzed at the immensity of the trauma we built ourselves from this single brick. Sometimes, the wall was constructed from past generations and we simply feel the trauma passed down to us from our ancestors. This wall seems so solid and so tall that there appears to be no way around, over or through it. Systemic constellation work is like a sledge hammer handed to us so we can break a hole into our trauma wall. The more we swing our hammer, the bigger hole we create within our wall where we can look through and notice a healing place that lies just on the other side of our trauma wall. Soon we make an opening large enough to install a gate with a lock and a key. We hold the key to unlock our gate but because we have lived with our trauma for so long, it’s difficult to trust that real healing can be achieved so we continue to stand on the trauma side of our wall. On the other side of this gate lies our healing path of support and love. A path we created ourselves but were unaware of due to the brick wall of trauma we spent so long constructing. Catherine role, as a facilitator, is to hand us our hammer and encourages us to create our opening in our trauma wall. This happens when a constellation circle is formed with other people who are called in to do this work either by the client or in an organic setting where others may not know each other. 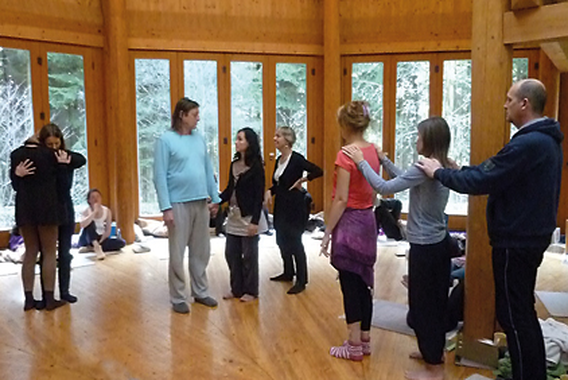 Either way, a sacred circle is formed with up to 12 participants who will become representatives. The client chooses the representatives and places each one within, what is called, the ‘knowing field’ within the circle. We all navigate within the ‘knowing field’ every moment of every day of our entire life. The ‘knowing field’, within the context of a constellation, represents the greater ‘knowing field’ of the universe. Once the placements are complete, the client takes a seat and witnesses the interaction of the participants as they begin to relate to one another. This is deep somatic or cellular work which is soul and heart based and not mind based. Since the representatives do not know who or what they are representing for the client, they are more likely to ‘feel’ their place as opposed to ‘realize’ their place. The ‘knowing field’ functions as a healing center for the clients’ trauma. As the constellation progresses, the client begins to see the healing path on the other side of their wall. Catherine will ask the representatives to move to a place they are guided toward from within their heart or soul without engaging the mind. When this happens, the hole in the trauma wall is widened and the gate is installed. The client will begin to see and feel how their trauma materialized within their life. There comes a moment in every constellation when the client feels a shift. They witness the individual whom they chose to represent themselves and how that representative interacts with others and how other representative interact with each other. This is when the client realizes they have the key to unlock their gate in their trauma wall and step into their healing place. All of this takes place in the span of 45 minutes to an hour. I have compared this work to conventional talk therapy which has its place and I want to stress that this is not psychotherapy or psychodrama. This is deep soul work where the body feels the healing as opposed to processing with the mind. When the mind is de-activated, the heart can take over and feel true self-healing. I will repost a blog entry after this one so you can see them in order and begin to unpack the mystery of this work. We had a successful event this past weekend at the H.O.M.E Center in Salem, OR. Many new people participated in our one-day constellation workshop and we have been invited back for more. Catherine was as great as ever. We are looking at offering workshops with themes such as money, relationships, illness, etc. Please leave comments on what you might want to explore as a theme. That's it for now more to come. ​Three different studies, done by different teams of scientists proved something really extraordinary. But when a new research connected these 3 discoveries, something shocking was realized, something hiding in plain sight. In the second, similar but unrelated experiment, different group of scientists extracted Leukocytes (white blood cells) from donors and placed into chambers so they could measure electrical changes. In this experiment, the donor was placed in one room and subjected to “emotional stimulation” consisting of video clips, which generated different emotions in the donor. The DNA was placed in a different room in the same building. Both the donor and his DNA were monitored and as the donor exhibited emotional peaks or valleys (measured by electrical responses), the DNA exhibited the IDENTICAL RESPONSES AT THE EXACT SAME TIME. There was no lag time, no transmission time. The DNA peaks and valleys EXACTLY MATCHED the peaks and valleys of the donor in time. The scientists wanted to see how far away they could separate the donor from his DNA and still get this effect. They stopped testing after they separated the DNA and the donor by 50 miles and STILL had the SAME result. No lag time; no transmission time. The DNA and the donor had the same identical responses in time. The conclusion was that the donor and the DNA can communicate beyond space and time. The third experiment proved something pretty shocking! Scientists observed the effect of DNA on our physical world. They concluded that human DNA literally shape the behavior of light photons that make up the world around us! So when a new research was done, and all of these 3 scientific claims were connected together, scientists were shocked.They came to a stunning realization that if our emotions affect our DNA and our DNA shapes the world around us, than our emotions physically change the world around us. Science has already proven some pretty MIND-BLOWING facts about The Universe we live in. All we have to do is connect the dots. The most important set of genetic instructions we all get comes from our DNA, passed down through generations. But the environment we live in can make genetic changes, too. Researchers have now discovered that these kinds of environmental genetic changes can be passed down for a whopping 14 generations in an animal – the largest span ever observed in a creature, in this case being a dynasty of C. elegans nematodes (roundworms). To study how long the environment can leave a mark on genetic expression, a team led by scientists from the European Molecular Biology Organisation (EMBO) in Spain took genetically engineered nematode worms that carry a transgene for a fluorescent protein. When activated, this gene made the worms glow under ultraviolet light. Then, they switched things up for the nematodes by changing the temperature of their containers. When the team kept nematodes at 20° Celsius (68° F), they measured low activity of the transgene - which meant the worms hardly glowed at all. But by moving the worms to a warmer climate of 25° C (77° F), they suddenly lit up like little wormy Christmas trees, which meant the fluorescence gene had become much more active. Their tropical vacation didn't last long, however. The worms were moved back to cooler temperatures to see what would happen to the activity of the fluorescence gene. Surprisingly, they continued to glow brightly, suggesting they were retaining an 'environmental memory' of the warmer climate – and that the transgene was still highly active. Furthermore, that memory was passed onto their offspring for seven brightly-glowing generations, none of whom had experienced the warmer temperatures. The baby worms inherited this epigenetic change through both eggs and sperm. The team pushed the results even further - when they kept five generations of nematodes at 25° C (77° F) and then banished their offspring to colder temperatures, the worms continued to have higher transgene activity for an unprecedented 14 generations. That's the longest scientists have ever observed the passing-down of an environmentally induced genetic change. Usually, environmental changes to genetic expression only last a few generations. "We don't know exactly why this happens, but it might be a form of biological forward-planning," says one of the team, Adam Klosin from EMBO and Pompeu Fabra University, Spain. "Worms are very short-lived, so perhaps they are transmitting memories of past conditions to help their descendants predict what their environment might be like in the future," adds co-researcher Tanya Vavouri from the Josep Carreras Leukaemia Research Institute in Spain. There's a reason why scientists turn to C. elegans as a model organism - after all, those 14 generations would only take roughly 50 days to develop, but can still give us important clues on how environmental genetic change is passed down in other animals, including humans. There are many examples of this phenomenon in worms and mice, but the study of environmental epigenetic inheritance in humans is a hotly debated topic, and there's still a lot we don't know. "Inherited effects in humans are difficult to measure due to the long generation times and difficulty with accurate record keeping," states one recent review of epigenetic inheritance. But some research suggests that events in our lives can indeed affect the development of our children and perhaps even grandchildren - all without changing the DNA. For example, studies have shown that both the children and grandchildren of women who survived the Dutch famine of 1944-45 were found to have increased glucose intolerance in adulthood. Other researchers have found that the descendants of Holocaust survivors have lower levels of the hormone cortisol, which helps your body bounce back after trauma. The latest study on nematodes is an important step towards understanding more about our own epigenetic inheritance - especially because it serves as a remarkable demonstration of how long-lasting these inter-generational effects may be. Greetings friends. This is the first in a series of blog posts introducing systemic constellation healing work. Catherine and I are bringing this work forward to the world together. We will share what systemic constellation work in a way we hope you can understand. As we post these blog entries, we welcome any feedback or comments to help us clarify and offer as much information as you may require. A bit of history seems to be in order here. Catherine VanWetter has been a certified Systemic Constellation Facilitator for fifteen years. 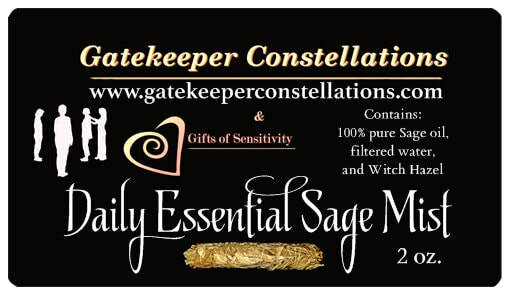 She was trained by Stephen Victor and has been facilitating this healing work and is well respected by many. 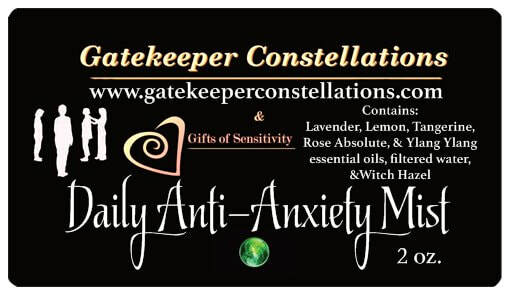 Our website, as you may know, is www.gatekeeperconstellations.com, which is where we are broadcasting our blog posts. Feel free to visit and read more about systemic constellation work. I am Joe Arnold and I have been trained in systemic constellation work as well. I bring sacred music, Native American Flute, to our partnership and hold space for this work as Catherine navigates the field. My website is www.cuseami.com if you want to hear my music and learn more about who I am. The following is an interview Catherine and I created for our blog posts. Joe: Hello, my name is Joe Arnold and I'm sitting here today with Catherine VanWetter and we're going to offer you a brief introduction to systemic constellation work. So, Catherine, with those two definitions in mind can you briefly explain what systemic constellation work is? Catherine: Thanks Joe. Systemic constellation work is a therapeutic approach that is solution focused and resolution focused. Joe: Okay, so what makes this approach unique? Catherine: Psychological therapy works with the mind alone and the story of who we think we are. Sometimes it can be difficult to move beyond that story. Systemic constellation work incorporates the whole system which includes mind, body, emotion, and spirit on our cellular level. I'm not meaning to denigrate psychological, or talk therapy, and I want to reiterate its importance because our story is a part of who we think we are. Systemic constellation work is simply a different approach of moving through the story of who we believe we are. Okay Catherine, can you go down that list for us now and explain briefly what these terms mean? Catherine: Sure. I will start with the first term on our list. 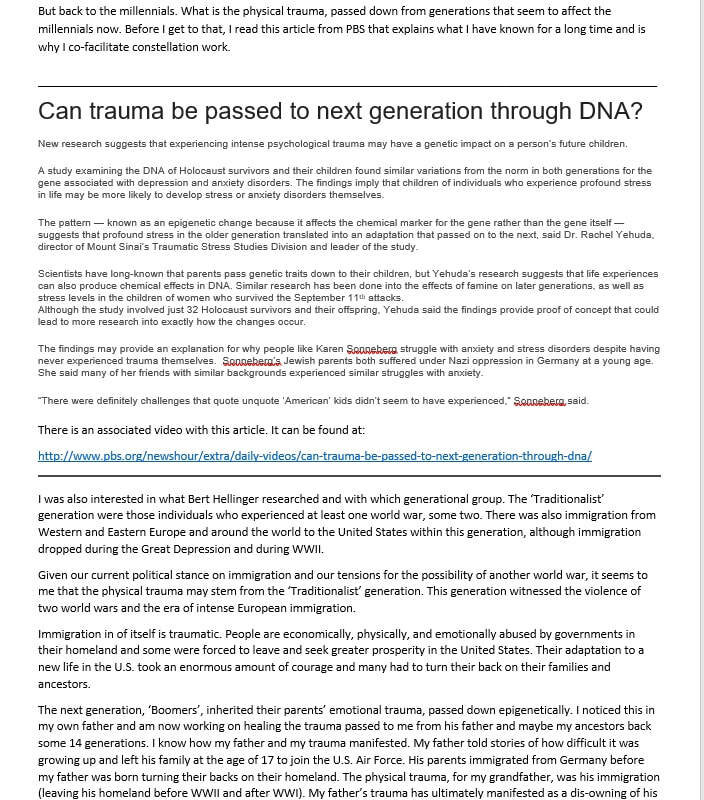 ‘Multi-generational trauma’ refers to trauma passed on from one generation to the next, i.e. from grandmother to mother and mother to daughter, or grandfather to father and grandfather to son. 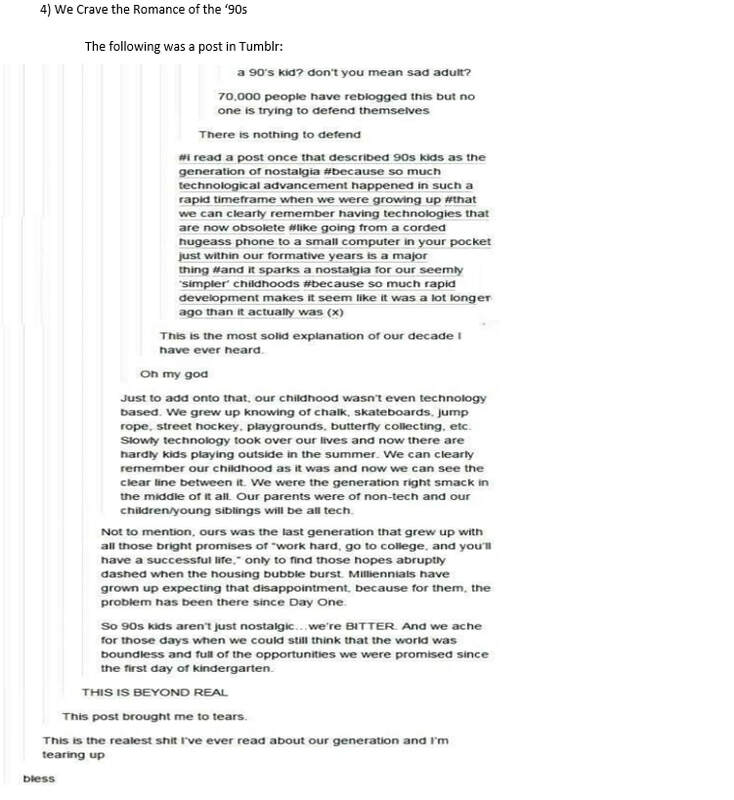 ‘Intergenerational trauma‘ is trauma that happens within generations, i.e. sister to sister or brother to brother. ‘Lineage’ is where an individual has come from. In other words, are you from Italian descent, are you from German descent, or are you of Native American descent and so on. ‘Behavioral imprint’ is a genetic code where we have behaviors that are literally imprinted into our cellular memory and into our psychic memory. ‘Psychological’ refers to the mind body. The next four are all tied together. ‘Quantum field’, ‘knowing field’,’ morphogenic field’, and the ‘energetic field’. What these are, is the inherent memory that gets passed on. ‘Phenomenological’ is a term within quantum physics in which you can't wrap your mind around how or why something is and how that something happens. ‘Epigenetics’ means just because our cells may have an imprint of disease or cellular memory of some type it does not mean that we will necessarily inherit that gene. In other words, it means we can switch it on or switch it off. One thing we didn't include was what Bert Hellinger referred to as ‘the orders of love.’ The ‘orders of love’ are a natural phenomenon that happens within a family system. The first ‘order of love is’, everyone and everything within a system has a right to belong. It is imperative for that part to be included for the health and well-being of the family system. The second ‘order of love’ is that there's place. We all have our place and in the interest of systemic family constellation work, the father is to the right and the mother is to the left. The oldest child’s place is to the left of the mother and then the next child and the next child and so on. That is finding one’s place within the family system or constellation. The third ‘order of love’ is reciprocity. This means the only responsibility of a parent is to give love to a child and the only responsibility of the child is to receive that love from the parent. If a child grows up and does not have children, the way they give love is by being of service. Joe: Catherine, will you now speak of the people who have influenced your understanding of this work and how their research has supported systemic constellations. The first person on the list is Bert Hellinger who you mentioned before regarding the ‘orders of love’. Dr. Virginia Satir - social worker and pioneer in family therapy. Dr. Jacob Moreno - psychiatrist and pioneer in psychodrama. Dr. Rupert Sheldrake - biologist. So, Catherine can you share briefly about these individuals? Catherine: Certainly, there are many who have influenced my work as a systemic constellation facilitator. Bert Hellinger (1925-present), a psychotherapist who coined the phrase, systemic constellation work and in part developed his theories through the work of Virginia Satir. Dr. Virginia Satir (1916-1988) was widely regarded as ’the mother of family therapy’ and contributed and worked within the field of family dynamics. She is also known for creating the Virginia Satir Change Process Model, a psychological model developed through clinical studies. Dr. Jacob Moreno (1889-1974) was the founder of psychodrama focusing on the present rather than the past using interpersonal relations and group psychotherapy. Dr. Rupert Sheldrake (1942-present), is a cell biologist and talks about the quantum field and the knowing field that includes the field of morphic resonance. Sheldrake's morphic resonance hypothesis posits that "memory is inherent in nature" and that "natural systems, such as termite colonies, or pigeons, or orchid plants, or insulin molecules, inherit a collective memory from all previous things of their kind. Dr. Bruce Lipton (1944-present), is an American developmental biologist also known for promoting the idea that genes and DNA are influenced by a person's thoughts, emotions, diet, and other key 'environmental' factors and how they get passed on from generation to generation. Dr. Candice Pert (1946-2013), neuro-scientist and pharmacologist, worked with what is termed neuropeptides which are small protein-like molecules (peptides) used by neurons to communicate with each other. She also discovered the opiate receptor which is the cellular binding site for endorphins in the brain. Dr. Peter Levine is a medical biophysicist and specializes in somatic memory we carry, especially if there's drama and how to release it from the body. Dr. Levine developed somatic experiencing (SE) therapy and established the Foundation for Human Enrichment in Boulder, CO. I will reference these people when I share more about systemic constellation work in our next blog post. ​Joe: Thank you Catherine. Our next post will include, in more detail, what systemic constellation work is and how it is helpful for profound healing. Blog Talk Radio Tuesday Feb 28th "The Spirit of the Soul"
Joe Arnold will be my guest live on Blogtalk radio at 3 PM pacific time Tuesday February 28th. We will be discussing his book titled "The Song" and how he has emerged as a creative artist through his writing and Native American Flute music. He will be playing music live on Tuesday on my show. Joe lives on Whidbey Island in Washington State and has been playing flutes since he was 8 years old, some fifty years ago. To listen to the show, click here. Joe worked on his book as a channeled piece. The story involves a spiritual journey of two people who come together and must enter the Mayan spirit world in hopes of changing human destiny. You can read more by clicking here. Joe is a gifted Native American Flute player and uses the name Cuseami which is a Toltec word and translates to 'Touching the flutes." His soothing sounds inspire a great calmness in the soul. You can hear his music on youtube or listen below. You can also visit his website by clicking here.